The Shockline Flex Fence® electric coated wire is a versatile horse fencing solution for high-traffic areas with a polymer coating to increase visibility. Shockline is sold in 1320' rolls. 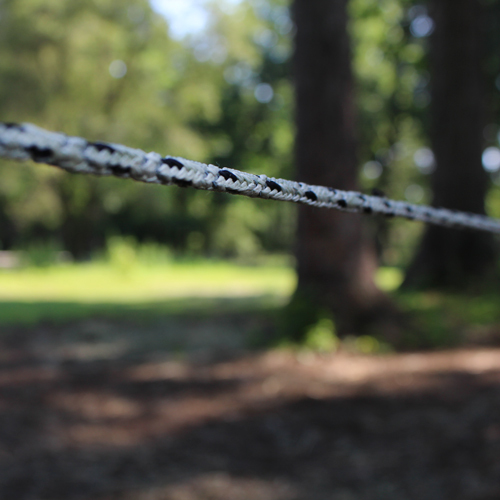 The Pro-Tek 1.5" electric tape fence is highly-visible and is currently available in white, black, or brown. The 15 stainless steel wires will help keep your horse(s) safe and your fence working properly past the 20-Year Limited Warranty. Pro-Tek braided electric horse fencing is available in 1320' rolls and is constructed of polyester and 16 stainless steel conductors, providing superior strength and a psychological deterrent for your horses. Only available at RAMM. RAMM's exclusive Pro-Tek electric horse rope is very easy to install, has maximum UV protection, and has great visibility. 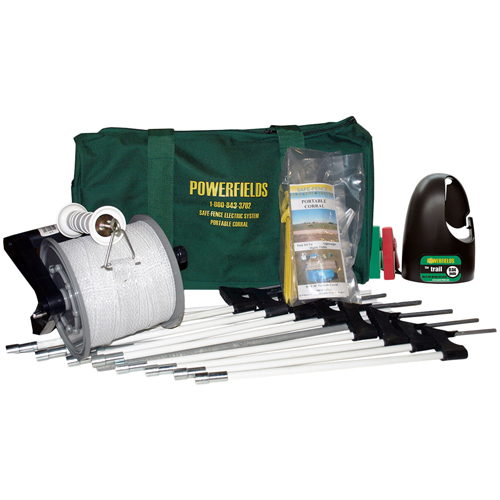 This 656' electric rope roll is affordable and can either be used as a permanent or temporary horse fencing system. 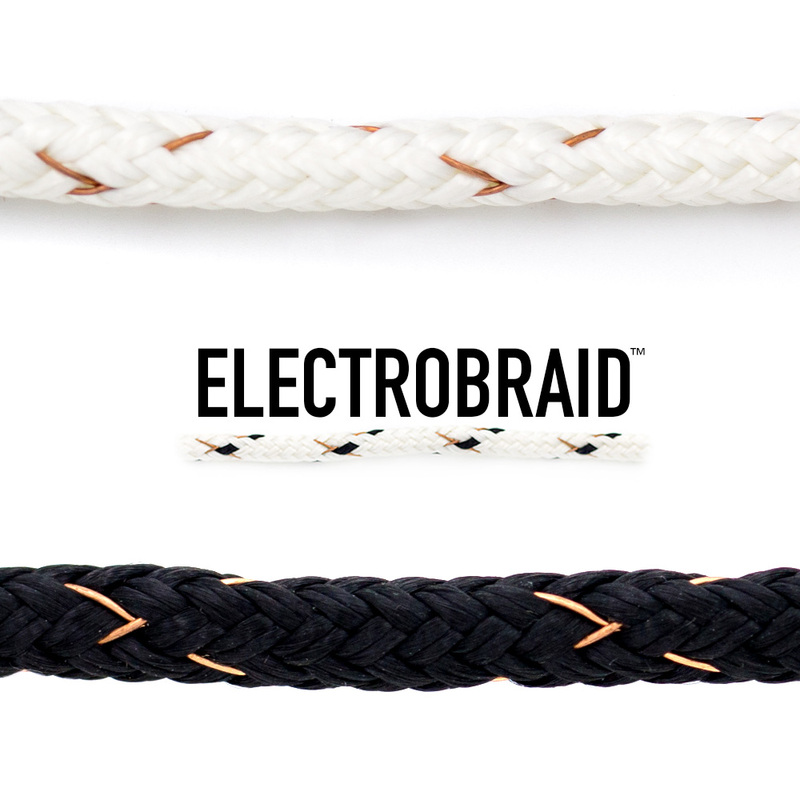 This 1000' roll of ElectroBraid™ is a permanent electric fence designed especially for horses. It is both a physical barrier and a psychological deterrent. It is highly visible to horses, strong, durable and resilient. The Portable Corral Kit creates a 50' x 50' paddock (200' total) and is an excellent electric fence solution for small fenced areas where horses, alpaca or cattle need to be moved, contained and protected. The electric horse fence is one of most effective horse fencing methods for one simple reason: it offers the same kind of natural response that large animals are accustomed to in the herd environment. Horses respect the bite, kick, and nip from a more dominant horse. The electric fence provides that "nip" and teaches horses to respect the barrier. The "bite" that the horse feels from these fencing systems is short-lived and doesn't physically harm them. RAMM customers choose electric fencing systems due to its versatility, cost-effectiveness, and dependability. Electric horse fencing is one of the most economical horse fencing options available. 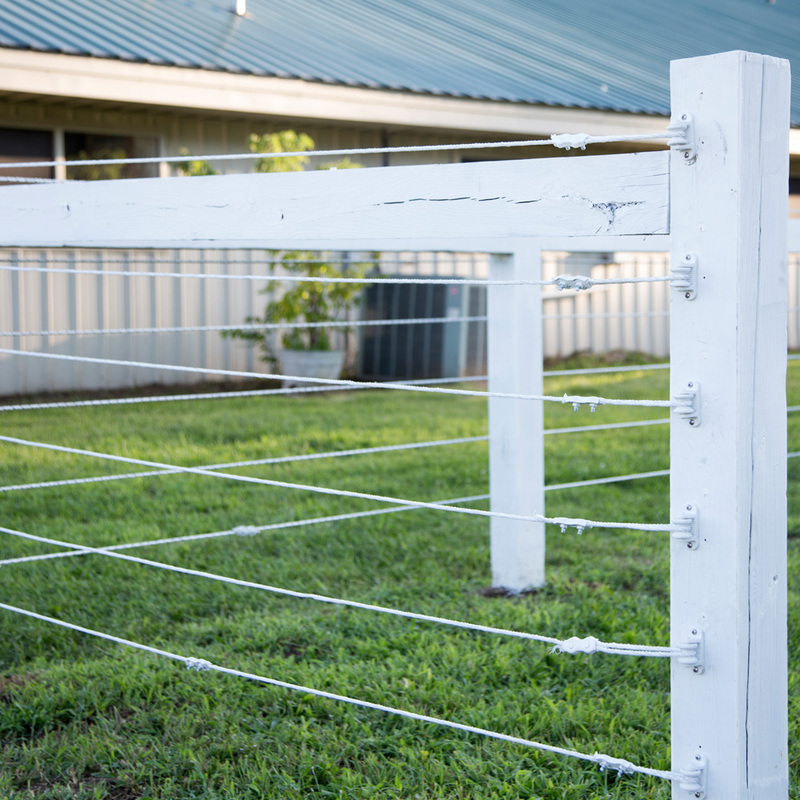 It can help prevent wear-and-tear on other horse fencing systems, teach horses to respect the electric fence line or create a safer environment when two paddocks share a common fence. Many horse owners create a safer, longer lasting fence with the use of electricity. We offer a variety of different electric horse fencing systems. 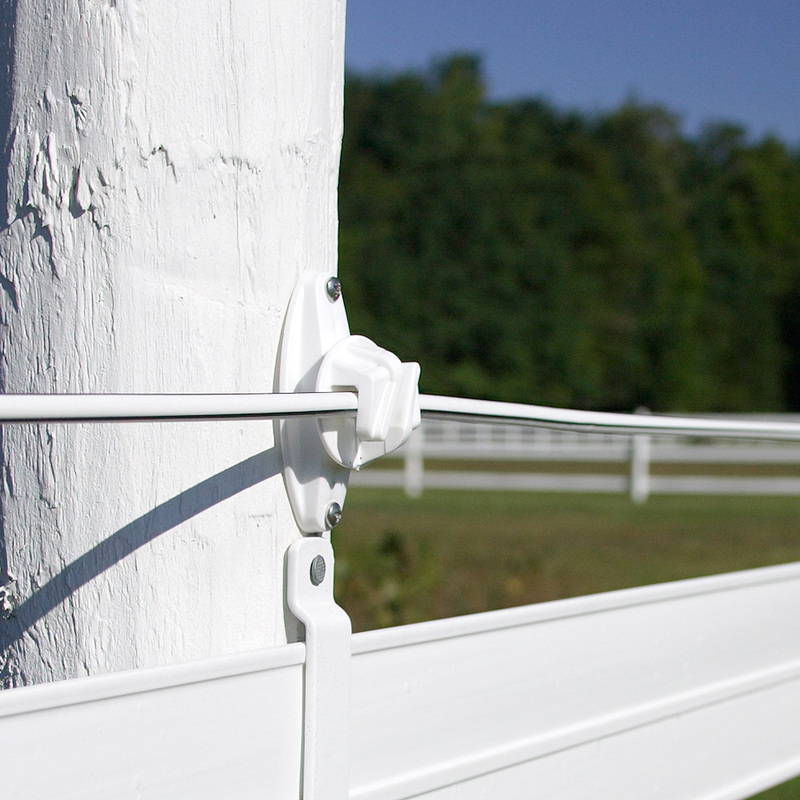 Our customer's favorite is RAMM's Shockline Flex Fence® electric coated high-tensile wire. Shockline is constructed with class-3 12.5-gauge steel wire covered with a polyethylene coating and 3 conductive carbon strips. This electric fence has 1,400 pounds of break strength per rail and is the strongest electric fence RAMM carries. It is available in white, black and brown and comes with a 20-year Limited Warranty. You may also choose from our other great horse fencing options: Pro-Tek electric tape, Pro-Tek braided electric, Pro-Tek electric rope, ElectroBraid™, or if you're planning a trail ride camping trip we have a 50'x50' portable electric camping corral. We also have a wide assortment of electric fence chargers and any electric fencing accessories to go with your electric fencing system. No matter what fencing option you consider, it's important to remember that horses are wild animals and their behavior can be unpredictable. Although electric horse fencing is a safer alternative to fencing options of the past (high-tensile wire, barbed wire, board fencing), there is no totally safe fence. 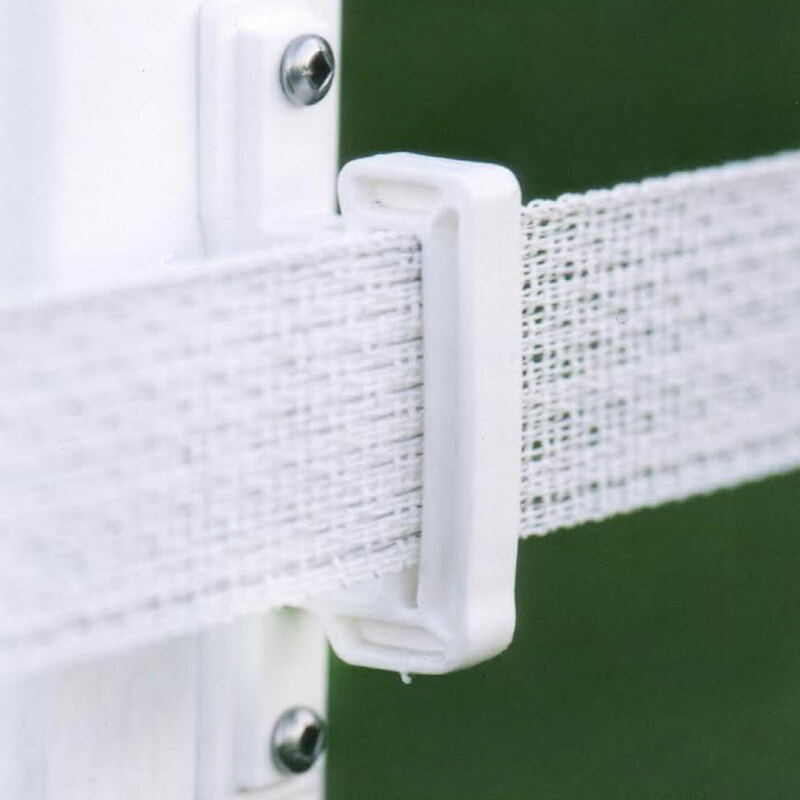 Accidents can happen with any fencing product, and that's why following installation instructions and manufacturer's suggestions are so important. Do everything you can to set up your fencing correctly, and you will greatly reduce the risk of injury to your horses. Need assistance with your project? Talk to one of our horse fence experts; they can help you determine which electric fencing is right for you and your horses. Feel free to give us a call today at 800-434-8456!